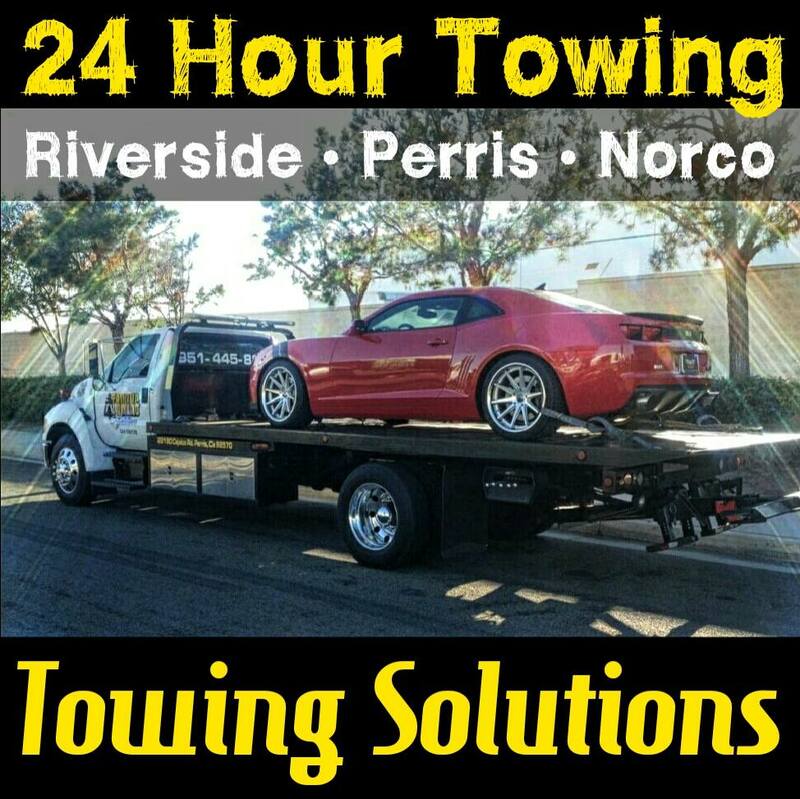 At Towing Solutions we offer a 24 hour towing service to all of our Norco, CA Residence. So it’s late, you just got out of work and your car won’t start. It looks like your going to need to get towed home. 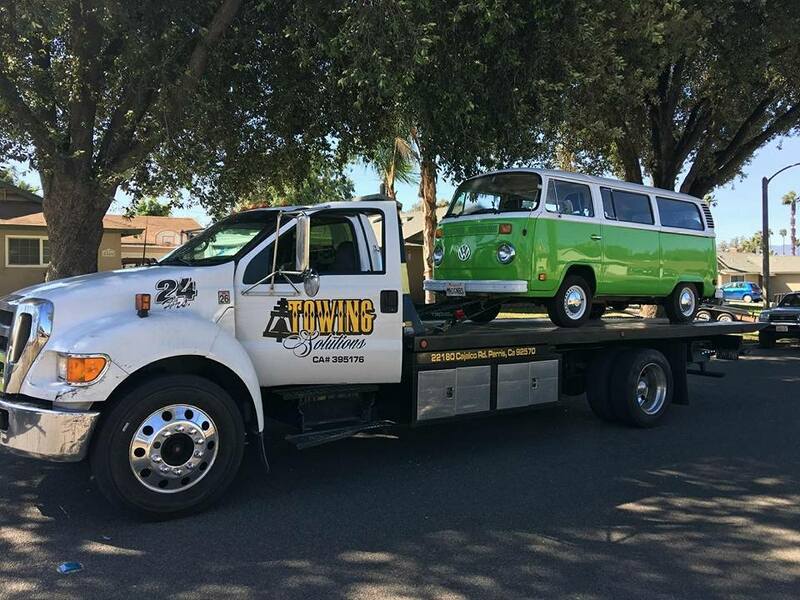 Towing Solutions is a dedicated 24 hour tow truck company, aiming to help all of our customers get the towing help they need exactly when they need it. We know emergencies don’t stop happening just because the sun went down. So we don’t stop working just because the sun went down either. Our number one priority is the safety of the customer and their vehicle. The strong work ethics our highly trained and licensed drivers possess keep our loyal customers referring us their friends and family. If you or someone you know is in need of a reliable and affordable tow truck services please do not hesitate to send them our way. We would love the opportunity to earn their business for life. Simply give us a call at (951)445-8868 today! 24 hour towing is our specialty, but are always ready, fueled up and on standby to insure our response times are as fast as possible. We have a saying at Towing Solutions that says, “if you stay ready you never have to get ready.” No one likes to wait especially late at night. That is why we offer fast response times, unbeatable overall service and low rates to all of our customers no matter the time of day or night. 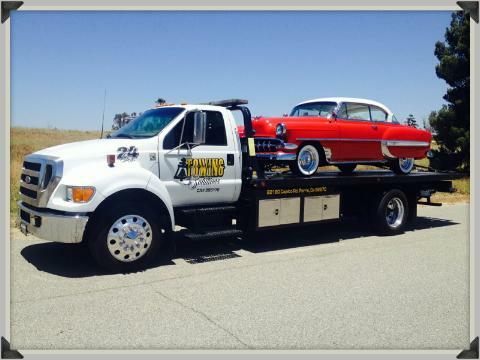 Give us a call at (951)445-8868 for all of your 24 hour towing and roadside assistance needs! Towing Solutions is a local family owned and operated business with over 30 successful years in the industry. Being in the business for so long means we have towing down to a science. All of our employees are highly trained, licensed, and insured. For us there is no job too big or too small. 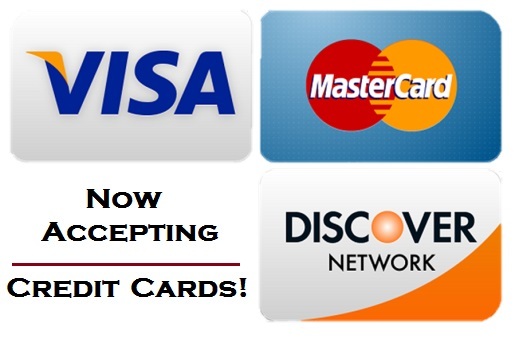 For more info please give us a call at (951)445-8868.